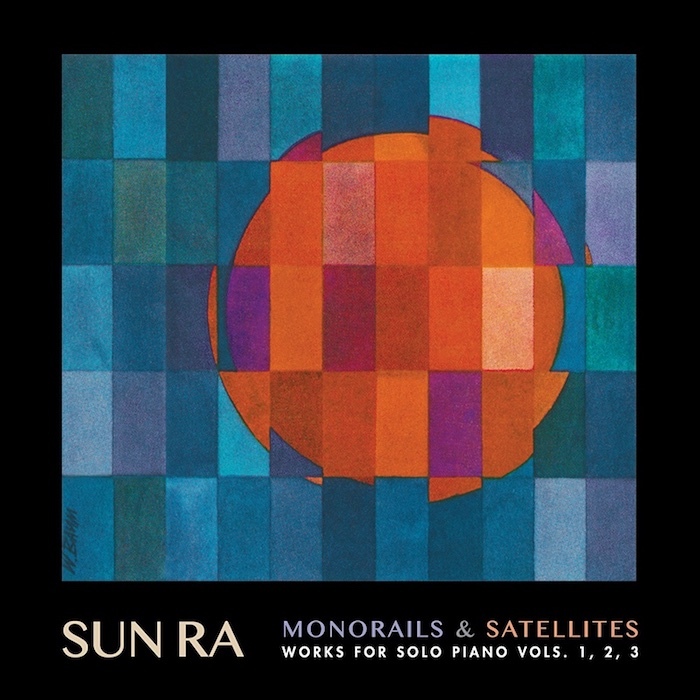 Monorails & Satellites is a collection of solo piano works recorded by Jazz innovator, Sun Ra. This music was recorded in 1966 and released on his Saturn Records company in the late 1960s. 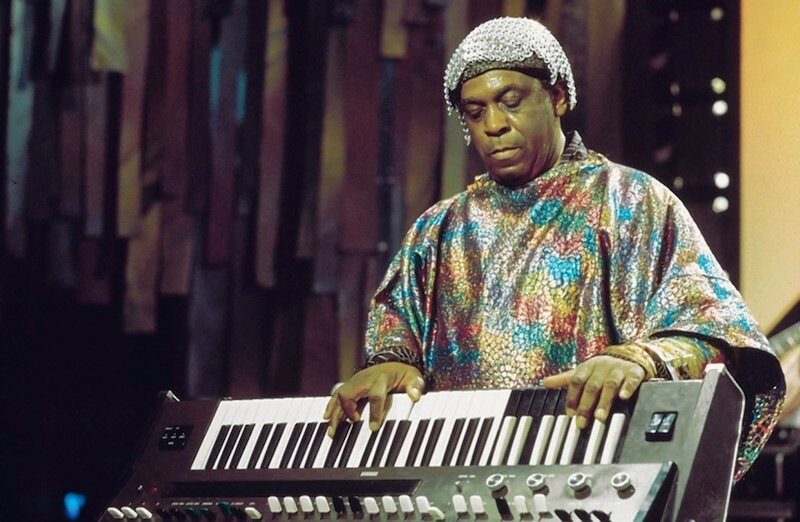 These were the first commercially available recordings of Sun Ra's solo piano music. A third tape of this unreleased music was discovered a few years ago. All of this music has finally been collected, mastered and is now available for purchase. It is fair to say that due to his masterful use of theater, pageantry, poetry and his ever changing Arkestra, Sun Ra’s piano prowess is often overlooked. He was indeed a keyboard master, who was gifted with a sense of humor, irony and suspense. The music here illuminates Sun Ra's knowledge of piano history, with glimpses of Tin Pan Alley, Great American Songbook, Swing, Bebop and much, much more. PJP spoke with journalist, music historian, radio personality and Sun Ra LLC administrator, Irwin Chusid about Sun Ra and the Monorails & Satellites project. PJP: Can you briefly describe your background? Irwin Chusid: I was a music/arts hobbyist who rather late in life parlayed his passions into a career. I call what I do "Landmark Preservation"— I find things on the scrapheap of history that I know don't belong there and salvage them. I've revived interest in and reestablished the legacies of composer/bandleader/electronic music pioneer Raymond Scott, Space Age Bachelor Pad Music icon Juan Garcia Esquivel, midcentury artist/illustrator Jim Flora, and lately, calypso legend The Mighty Sparrow. I also discovered and produced the Langley Schools Music Project, wrote Songs in the Key of Z —the first and only book about Outsider Music—and have programmed a weekly radio show on free-form WFMU since 1975. Since 2013, I have been exclusive administrator for Sun Ra LLC, comprised of the lawful heirs and rightsholders for Sun Ra's music—his earthly family. 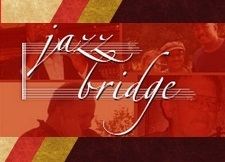 I play drums on occasion, have produced dozens of albums, and edited and authored four anthologies of Jim Flora art. I have lived alcohol-free since 10pm last night. 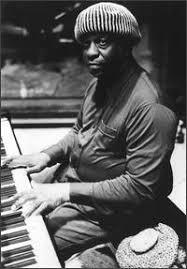 PJP: What is SUN RA: MONORAILS & SATELLITES, Works for Solo Piano, Vols. 1, 2 and 3? Irwin Chusid: Monorails & Satellites were two volumes of solo piano works recorded by Sun Ra in 1966 and released on his Saturn label around 1968-69. After years of Ra issuing recordings with his Arkestra, the Monorails titles were the first commercial LPs of his solo keyboard excursions. A tape of a third, unreleased volume was discovered a few years ago by Michael D. Anderson of the Sun Ra Music Archive. Under the imprint Cosmic Myth Records, Michael and I, through a P&D arrangement with Virtual Label, have been creating definitive reissues of Sun Ra's Saturn catalog, so we decided to issue all three volumes as a set, which comprises three LPs, two CDs, and digital—22 tracks in all. They are available now through our Bandcamp store and elsewhere. PJP: Why is this project so important? Irwin Chusid: Sun Ra's acoustic piano stylings are often overlooked. He was best-known for his electronic keyboards, which seemed to became his primary instruments from the late 1960s on, although he continued to perform and record with pianos. He was also known for his flamboyant concert showmanship—some of it borders on gimmickry—and this Barnum-grade extravagance sometimes overshadows the man's musical virtuosity. With Monorails and Satellites, the piano is showcased: ten fingers dancing across the keyboard with idiosyncratic intensity. The playing reflects Sun Ra's encyclopedic knowledge of piano history as his passages veer from stride to swing, from barrelhouse to post-bop, from march to Cecil Taylor-esque free flights, with a bit of soothing "candelabra" swank thrown in. Sunny's attack is mercurial, his themes unpredictable. His hands can be primitive or playful, then abruptly turn sensitive and elegant. As with the whole of Sun Ra's recorded legacy, you get everything but consistency and predictability. We asked Vijay Iyer—three-time Down Beat Artist of the Year—to write liner notes for the package. We didn't know if he would be interested or have time. He responded immediately and expressed great enthusiasm. He recognized Sun Ra's genius early on and relished the opportunity to pay literary tribute to one of his keyboard idols. PJP: Who is working with you on this series? Irwin Chusid: Philadelphia-bred, Michael D. Anderson of the Sun Ra Music Archive provides most of our masters, transferred from his tape archive. Joe Lizzi handles the mastering, Ben Young has served as project consultant and editorial adviser, and John Allen of Virtual Label is providing project management. Besides Vijay Iyer, we've commissioned liner notes from Sun Ra scholar/discographer Christopher Trent, jazz critic Clifford Allen, jazz historian Marc Medwin, Moog historian Brian Kehew, and others. I've written historical chronicles for each of the packages, as well as contributing to digital restoration of the audio. We solicit advice from such noted Ra historians as Robert L. Campbell, John Szwed, John Corbett, Peter Dennett, Paul Griffiths, and others. I've also had conversations with Arkestra veterans Marshall Allen and Danny Ray Thompson, who have provided excellent historical perspective on the trajectory of Ra's career. Irwin Chusid: With Sun Ra, there's something for everyone to love and hate. He never compromised, never created music to accommodate a market, he simply did what he wanted to do. The ultimate control freak—over his music, over his band, over his public persona. To appreciate Ra requires approaching him on his terms. He won't even meet you halfway. You either get it, or you don't. Or you don't, then you do. Or you never do. Some never try, and never will. Unfortunately, these are reasons why Sun Ra has not achieved the public recognition we feel he deserves. PJP: Why Sun Ra? When you could be presenting anything else, why this music? Irwin Chusid: Because besides the music, he's a fascinating man and a compelling artist. There's a story, a life, a legacy—a complete package. There's so many aspects of Sun Ra worth exploring, a vastness as deep as outer space. No wonder he devoted so much of his life to interplanetary musings. He knew Earth was too small to contain his vision. Space is the—never mind. 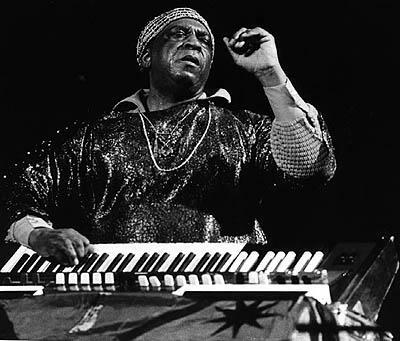 Sun Ra was an American jazz composer, bandleader, piano and synthesizer player, and poet known for his experimental music, "cosmic" philosophy, prolific output, and theatrical performances. He was born in Birmingham, Alabama on May 22, 1914. He died in Birmingham, Alabama in May of 1993. His widely eclectic and avant-garde music echoed the entire history of jazz, from ragtime and early New Orleans hot jazz, to swing music, bebop, free jazz and fusion. His compositions ranged from keyboard solos to works for big bands of over 30 musicians, along with electronic excursions, songs, chants, percussion pieces, and anthems. Sun Ra was a prolific recording artist and frequent live performer, and remained both influential and controversial throughout his life for his music and persona. He is now widely considered an innovator; among his distinctions are his pioneering work in free improvisation and modal jazz and his early use of electronic keyboards and synthesizers. Over the course of his career, he recorded dozens of singles and over one hundred full-length albums, comprising well over 1000 songs, making him one of the most prolific recording artists of the 20th century. For much of his career, Ra led "The Arkestra", an ensemble with an ever-changing name and flexible line-up. The Sun Ra Arkestra is still aggressively performing around the globe and is currently led by long time Arkestra member, alto saxophonist, Marshall Allen. Cosmic Myth Records is a partnership of Irwin Chusid, Philadelphia-bred and former WRTI & WBGO radio host, Michael D. Anderson (the Sun Ra Music Archive), Virtual Label Group, and Sun Ra LLC (comprised of the lawful heirs and rightsholders of Sun Ra's estate). The team is issuing definitive editions of Sun Ra's historic Saturn Records catalog titles, meticulously remastered, often with bonus material, and featuring new liner notes, photos, and graphic design. Previous titles in the series are The Magic City, My Brother The Wind Vol. 1, and God Is More Than Love Can Ever Be. 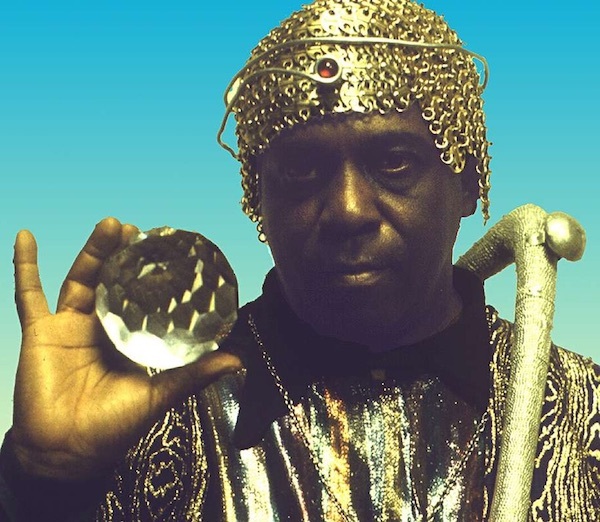 Cosmic Myth Records' full Sun Ra digital catalog (over 70 albums posted to date, including much previously unissued material) is available now.